1. Citizen’s please receive your voucher to participate from the City Secretary. 2. Keep Chemicals in their original containers if possible. 3. Do not mix different or unknown chemicals together. 4. Place broken or leaking containers inside a second container of similar material (glass for corrosive, metal for flammables). Use clay-based cat litter to soak up spills. 5. Transport materials in the trunk or back of vehicle, away from the driver and passengers. 6. For safety purposes please do not bring children or pets to the collection site. 7. Please stay in your vehicle when entering the collection site. 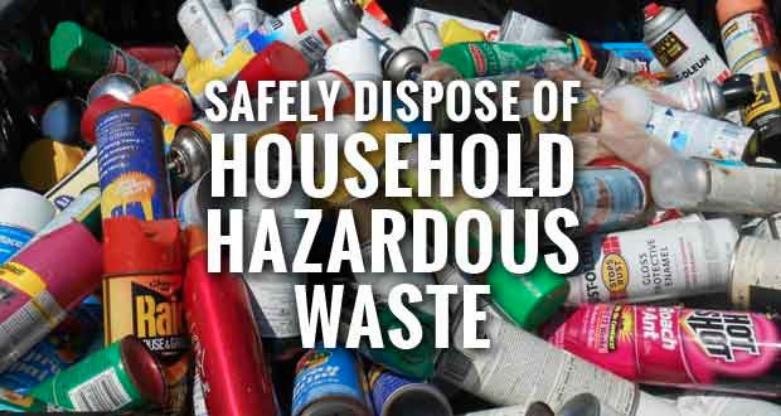 Trained workers will unload hazardous waste from your vehicle. Please download the flyer to share with your HOA. We want to encourage citizens to come together as a group effort. We have a limit on vouchers. If you currently do not live in a HOA. Members of City Council will be arranging a trailer to haul your items to the City of Rockwall Service Center 1600 Airport Rd. Please contact the Lisa Palomba at (972) 524-2077 for reserving a voucher.